Bahubali Hero Prabhas lands in India on that DAY! 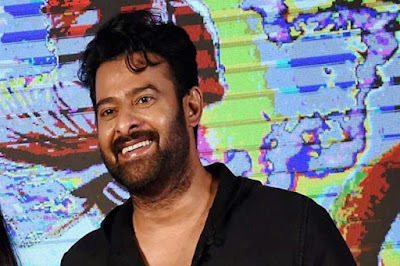 Continuing the old tradition, Tollywood Hero Prabhas went on a vacation to US along with his close pals soon after the release of 'Baahubali: The Conclusion'. He have this habit of planning holiday trips just before or after the release of his projects. Usually, Young Rebel will fly to an undisclosed location few days ahead of the new release. He, however, waited till few days after the release for 'Baahubali 1' and 'Baahubali 2'. As per the latest update, The month long vacation of Yong Rebel Star Prabhas is going to end soon. He will land in India on June 5th this year. The Actor will take a break for one or two days before resuming the shoot of his upcoming project 'Saaho'. Sujeeth is fully prepared to deliver a power-packed project after 'Baahubali'. UV Creations is leaving no stone unturned to make it live up to the expectations. Search for Female Lead is still continuing. Summer 2018 release! Will Spyder Teaser miss Special Day? Does Rajamouli still hold it against Sri Devi? How did Duvvada Jagannadham began? NTR putting pressure on Rajamouli! Is DJ, Allu Arjun's Gentleman?! It's Supreme Hero After Megastar! Saaho Inspired From Rajini Claasic Baasha ? Beutiful Heroin Ramyakrishnan stuns again! The greatness of Raghavendra Rao! Bold, Beautiful and Scintillating Seerat! Has Ram Charan been selected again?